When my sweet daughter was turning three, I knew she would enjoy a Little Bear themed birthday party. As much as we try to be a television free home, Little Bear does make his entrance into our home every so often and we also read the books. We enjoy the nature theme as well as the "classic" feel of an old story, as the original series was written by Maurice Sendak. There is something comforting about the old traditions and themes in the stories. Since she was in her first year of Waldorf nursery school, we thought the nature, picnic and quiet tradition that Little Bear offers was perfect for her third birthday party. We started with the invitations, which Tenley's Grandmother tirelessly assembled with nothing less than love and adoration for her Granddaughter. 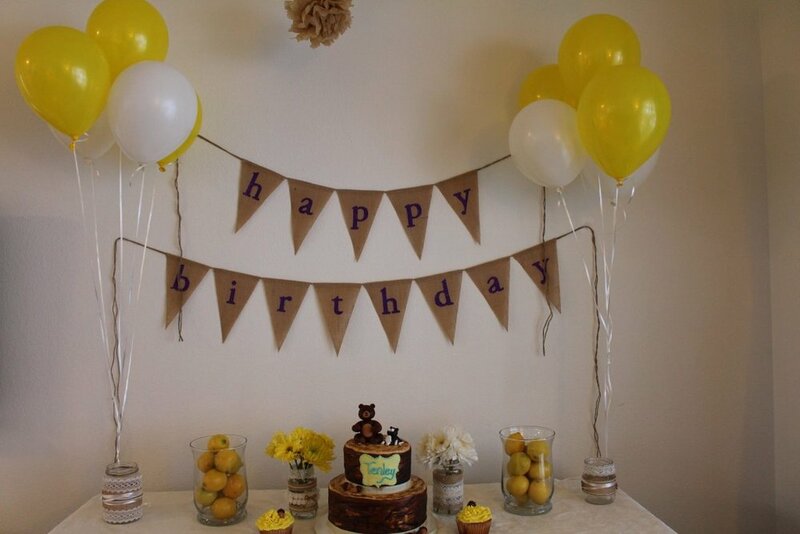 We went with a yellow and white picnic theme, to honor the natural roots and theme of Little Bear. It was January in Colorado and we did get a snow storm the day of the party, but such is life when you were born in the winter. We had Rocky Mountain Catering do a "picnic" spread for us. Macaroni and cheese, sliders, chicken nuggets and salad and of course we were eating indoors! We did a two tier cake yellow with blueberry filling, because of course Little Bear would want a blueberry filling and marshmallow fondant. As an alternative to goodie bags, Tenley gave her guests baskets of fresh fruit to keep in line with the nature and picnic theme. 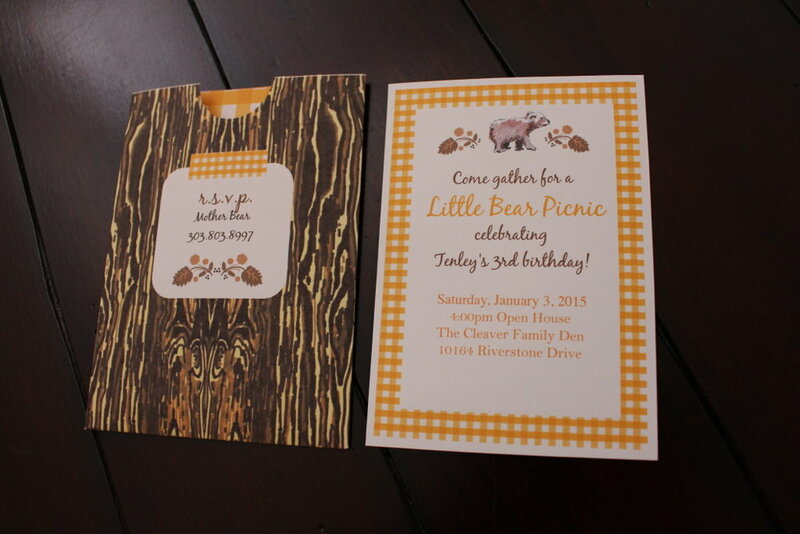 Thank you for checking out our Little Bear themed birthday party for toddlers!